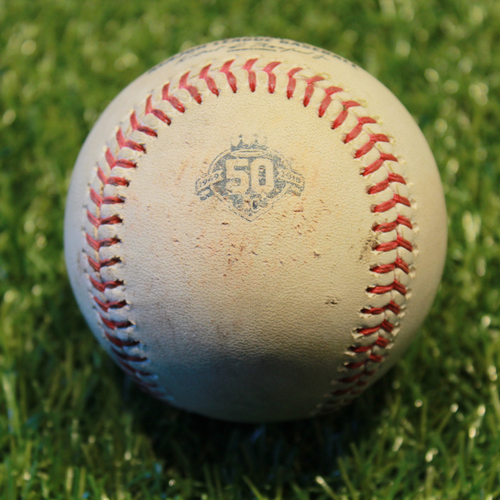 Bid now to win this game-used baseball hit by Robbie Grossman on September 16, 2018. Grossman singled on a line drive to center fielder Brian Goodwin in the top of the fourth inning. Chris Giminez scored.